Prospective students will have the option to withhold scores. DU is joining a growing number of universities across the country that eliminated SAT and ACT scores from the application process. More than 1,000 colleges and universities are currently application-optional schools, including the University of Chicago, American University, and Wake Forest University. According to Chancellor Rebecca Chopp, the decision was made to remove barriers for those applicants who may not have the resources to succeed on the tests. The university feels that this will open the doors to more low-income and first-generation students, as well as those who have different learning styles. DU offers that studies have shown that high school grades are the best indicator of college performance, and standardized testing has a low correlation to student success and determination as they pursue a degree. Students who wish to can still submit their test scores, and academic performance in high school will still be the most important factor in admission decisions. Students will now be able to present their best academic profile despite their performance on standardized testing. 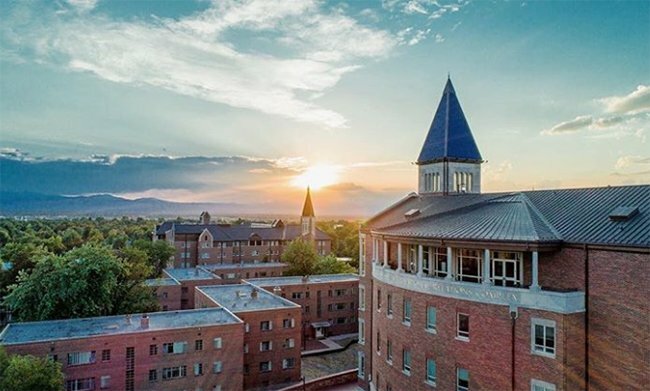 If you are hoping to attend DU, check out the undergraduate admission website to learn more about the test-optional policy. People are eager to leave Denver, report says.